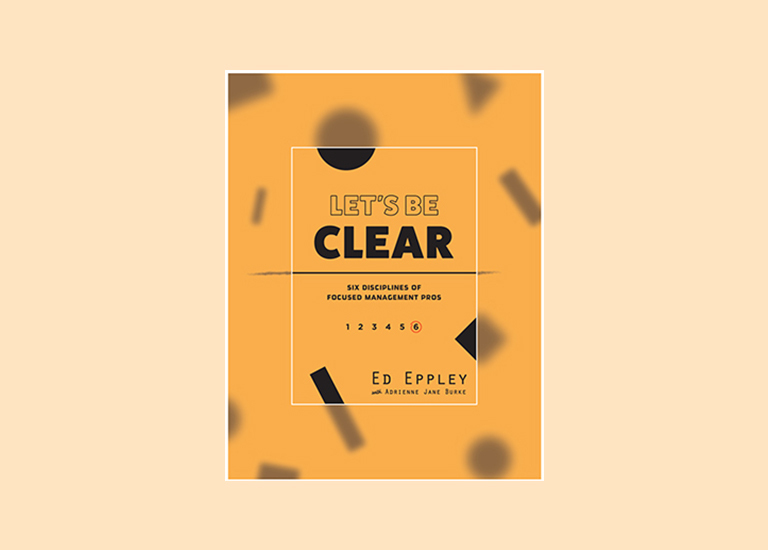 A new book by Ed Eppley helps professional managers worldwide develop the six disciplines critical for success: Leadership, strategy, people development, structure, organization performance, and culture. COLUMBUS, Ohio, January 31, 2018-Professional managers from the small business owner to Fortune 200 CEOs have another resource to help them develop a competitive edge for the future while building a sustainable and thriving business. 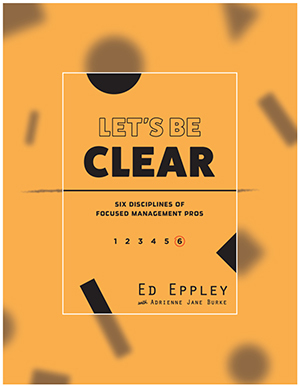 “Let’s Be Clear: 6 Disciplines of Focused Management Pros,” is the new book released today by Ed Eppley with Adrienne Jane Burke that breaks down six disciplines critical for today’s professional manager: Leadership, strategy, people development, structure, organization performance, and culture. “Let’s Be Clear” is available in paperback at http://www.TheEppleyGroup.com, amazon.com, and all major online bookstores. The five stages of strategic planning. The four benefits of a strong structure. The importance of committing to three core values. The green thumb for growing people. The book includes an interactive element by offering a series of tools and resources at the end of each chapter encouraging readers to obtain further learning at The Eppley Group website. Through additional articles and blogs, and a Professional Management assessment, readers gain a better understanding on where they are and how they can improve their professional management skills. Ed Eppley is a leading global expert in professional management, sales strategy, and performance management. He is a principal consultant for the Table Group, a Patrick Lencioni Company, and operates The Eppley Group. He has trained managers at multinational companies across the U.S., Europe, China, Japan, and Australia. Learn more about Eppley and The Eppley Group at http://www.TheEppleyGroup.com.